Obesity is one of the most common medical conditions affecting dogs and cats in the U.S., recent studies indicate that 30 to 40 percent of U.S. pets are overweight and 25 percent of pets in the U.S. are obese. Too much weight causes health issues in pets such as respiratory problems, diabetes, arthritis and heart disease. Overweight pets also have a greater chance of tearing ligaments and wearing down their joints, both of which make getting around quite painful. Pets weigh much less than people, so an extra pound or two makes a big difference. 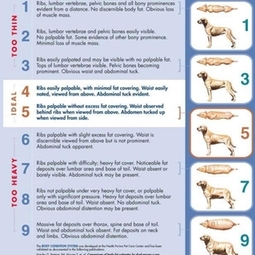 It is important to keep an eye on your pet's diet, exercise routine and weight throughout his or her life. Average-sized cats should weigh between eight and 10 pounds, while a dog's ideal weight varies with his breed and size. A small dog may weigh about the same as a cat, while large-breed dogs may weigh sixty pounds or more. We can tell you what your dog's ideal weight should be based on his size and breed. We can tell if your pet is overweight during your pet's regular wellness exam. We may take a sample of your pet's blood for laboratory tests to determine if there is a medical reason for your pet's increased weight. If your pet is older, his weight gain may be attributed to lower activity and metabolism levels. Another cause of weight gain is giving your pet too many treats. At home, you can monitor your pet's weight by feeling her ribs. Place your fingers on the side of her rib cage and press or rub gently. If you can easily feel your pet's ribs, she is probably not overweight, but if you have to press against her sides to feel her ribs, she may be overweight. You should also be able to easily spot your pet's "waist," that is, her body should become more slender as you look from the end of the ribs to the hindquarters. If you think that you pet is over weight, we can help. Through nutrition, proper diet and exercise we at Syngery Animal Hospital can help you get your pet back in shape with a customized plan of care! Not sure if you pet is over weight? Call today for an appoinment and we can take the guess work out it! CLICK HERE for more information!